Home / Blog / Could L-Glutamine help your belly get flatter? What if you could shrink your belly with the addition of the tasteless amino acid called L-Glutamine? 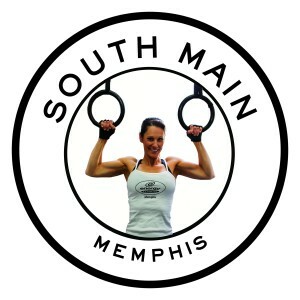 As the owner of Energy Fitness, a boutique personal training, nutrition coaching and healing arts services studio in Memphis for over 16 years I’ve been asked countless times, “what’s the easiest and fastest way to lose belly fat or lose body fat?” After I take a breath and a long sigh, I begin to ask probing questions about an individuals nutrition and exercise habits. My motto I recently stole from The China Study Book “Nutrition is a Scientific Disipline”. How do I know I have these symptoms? Well… How do you know you don’t have them? Be your own self-care detective and hire professionals when necessary. Are you at an ideal body weight and body fat for your height? Do you sleep soundly and get enough quality sleep? Do you have at least 2 normal bowel movements EVERYDAY about the consistency of a ripe banana and shaped like a sausage? How’s your skin? Do you exercise and “eat healthy” and your weight just won’t budge? L-Glutamine is pretty top-notch when it comes to gut health and there are many benefits that have been demonstrated in various studies showing it to drastically improve gut health in as little at 10 days without any nasty side effects. Now don’t go thinking I’m giving you a miracle supplement suggestion so you can go off the rails and eat or drink whatever you want. However, it is truly a “hero” when it comes to helping keep your gut healthy and your body slim. We carry L-Glutamine onsite for our clients, but realize not everyone reading this blog post can stop by, so here’s our next best recommendation. Energy Fitness loves Metagenics for their product quality. 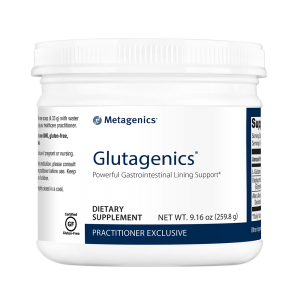 The Glutagenics is combined with licorice root and aloe leaf so it can help restore the gut even faster. A properly functioning digestive system is critical to good health. A program such as the Metagenics 5R GI Restoration Program can support GI health through the following steps: Remove, Replace, Reinoculate, Regenerate, and Retain. Glutagenics offers powerful support for the Regenerate step of the 5R GI Restoration Program. They also have a product I took that originally helped me called UltraGI Replenish which is a medical food and FDA approved. 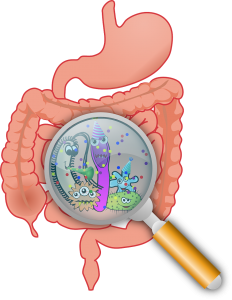 When I mention the phrase “leaky gut” or talk about how many people may have little microscopic holes in their stomach I am never surprised by the horrified facial expressions or comments of disbelief or the “I don’t have that” syndrome. I’ve known about L-Glutamine for several years and would take it off and on but mostly for helping to give my body fuel for endurance training and long races. I knew it helped soothe my stomach during long periods of training without solid food. I started noticing that my stomach issues were less of a problem when taking the supplement so I began to do more research and now it’s part of my daily regimen. I said goodbye to leaky gut and irritable bowel syndrome which now means less bloating and now I am absorbing all the nutrients of my food and want to help others get a healthy gut. Consider consuming L-Glutamine in powder form twice a day for 4 weeks (in the morning and just before or after dinner) with a swallow of water or in your protein shake at breakfast (1 level teaspoon = 5 grams). After the four weeks, consider taking 1 teaspoon a day with a protein shake for breakfast or with water in the morning. If you happen to have sugar or alcohol consumption later in the day, then you may want to consume another teaspoon of L-Glutamine immediately afterwards. One study on L-Glutamine showed that in less than a month, the women who took L-Glutamine had lost an average of over 6 pounds and 2 dress sizes. It helped people lose an extra 500 calories a day. If you are pregnant or nursing you should not take.